On paper, Logan probably seemed like a pretty risky venture. Aside from the R rating, James Mangold’s threequel also set out to tell a mostly standalone story, one that was disconnected from the X-Men timeline which Fox has been building for years now. All that, combined with its bleak tone and western elements made for a very different kind of comic book movie, and one that could have flopped tremendously. However, thanks to some flawless execution and terrific performances, Logan has quickly become one of the genre’s greatest achievements and a damn fine movie, making for a beautiful, heartfelt conclusion to Wolvie’s story. With the direction that Logan ended up taking, having Sabretooth show up probably wouldn’t have felt very organic and in all honesty, it’s for the best that he was left out. Still, that doesn’t mean Mangold completely ignored the character, as a new deleted scene that’s surfaced today points to the film having a very interesting easter egg at one point. While we don’t see Schreiber reprising the role in any way here, Victor Creed still does get a nod, as Bobby, one of the children who escaped from Xander’s facility, is playing with a Sabretooth action figure. 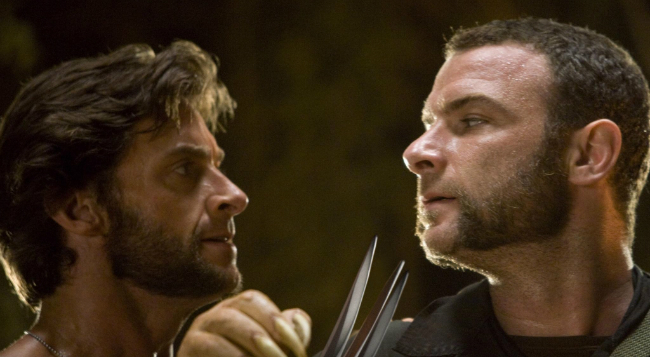 He approaches Logan and asks if the character was real, which leads our titular hero to tell him about some of the events from X-Men Origins: Wolverine, where him and Victor were experimented on. There’s no flashback of any sort, but it’s still nice to see Sabretooth get referenced and it makes for a fun easter egg. As for why this scene was cut, well, we’re not entirely sure. It seems to fit in well with the rest of the film and provides an organic and natural way to give Wolvie’s half-brother a nice nod without having to actually feature him in the flesh and blood. For some reason though, Mangold obviously didn’t think it added much to the movie and ended up removing it. Perhaps Logan‘s home video release will shed more light on why that was through the director’s commentary? Time will tell, but speaking of which, if you haven’t already done so, be sure to check out our contest below, as we’re giving you the chance to take home one of 2017’s very best films on Blu-ray. Enter to win and feel free to leave us a comment with your thoughts on the intriguing deleted scene up above.